Benita Peacock is a health fund approved sports and remedial massage therapist with a special interest in pregnancy massage. 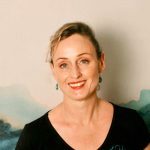 A natural soul-healer, with 17 years of training and experience, Benita loves to adapt her style to offer her clients a massage that is individually tailored to their needs. Supermarket Skincare ~ What are the Risks?